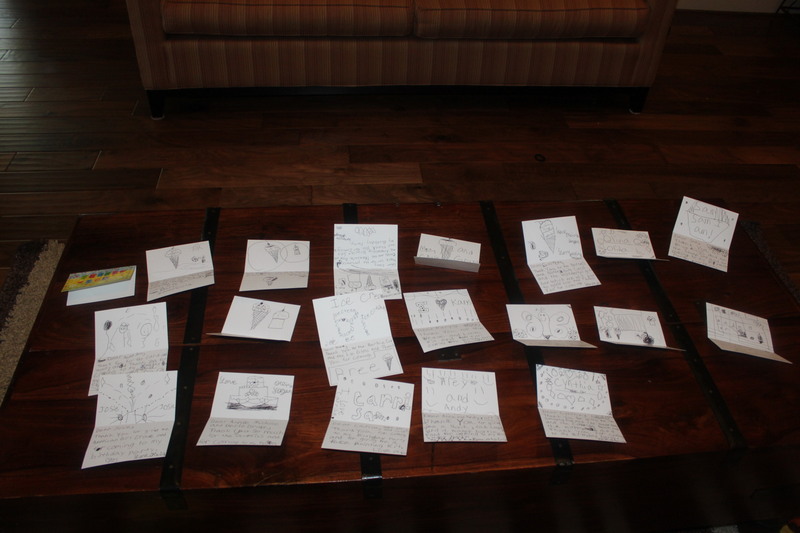 It has taken almost two weeks, but Olivia has finally gotten all her Thank You cards written. This is the first year she has had to write them all herself, and she wasn’t feeling it one bit. I admit, it’s a tedious job, but somebody’s gotta do it. 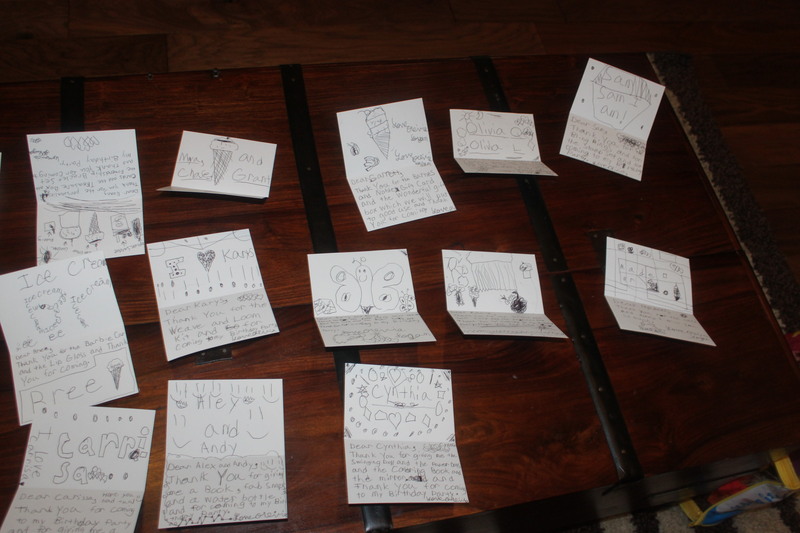 It was a great way for her to find her own way to express her thanks in writing (she varied the text on most of the cards, and she added her own artwork, so they turned out great), and of course it was a lesson in proper social etiquette. She started writing, stopped, started, and stopped, until I finally had to tell her she couldn’t open/use any more of her birthday gifts until all the thank you’s were finished and mailed off. That lit a fire to her bottom, and I’m happy to say the cards went into the mail today!